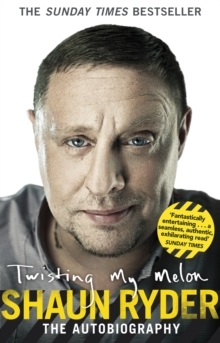 Shaun Ryder has lived a life of glorious highs and desolate lows. As lead singer of the Happy Mondays, he turned Manchester into Madchester, combining all the excesses of a true rock'n'roll star with music and lyrics that led impresario Tony Wilson to describe him as 'the greatest poet since Yeats'. The young scally who left school at fifteen without ever learning his alphabet had come a very long way indeed. Huge chart success and a Glastonbury headline slot followed, plus numerous arrests and world tours - then Shaun's drug addiction reached its height, Factory Records was brought to its knees and the Mondays split. 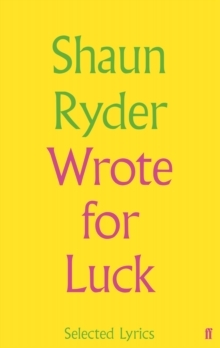 But was this the end for Shaun Ryder? Not by a long shot. Two years later he was back with new band Black Grape, and their groundbreaking debut album topped the charts in possibly the greatest comeback of all time. Even his continuing struggle with drugs did not stem the tide of critically acclaimed tracks and collaborations as he went on to prove his musical genius time and again. 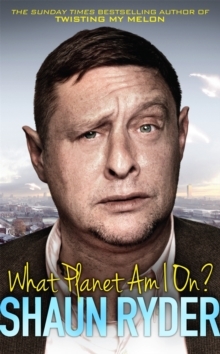 And then there was the jungle... Rock'n'roll legend, reality TV star, drug-dealer, poet, film star, heroin addict, son, brother, father, husband, foul-mouthed anthropologist and straight-talking survivor, Shaun Ryder has been a cultural icon and a 24-hour party person for a quarter of a century. Told in his own words, this is his story.